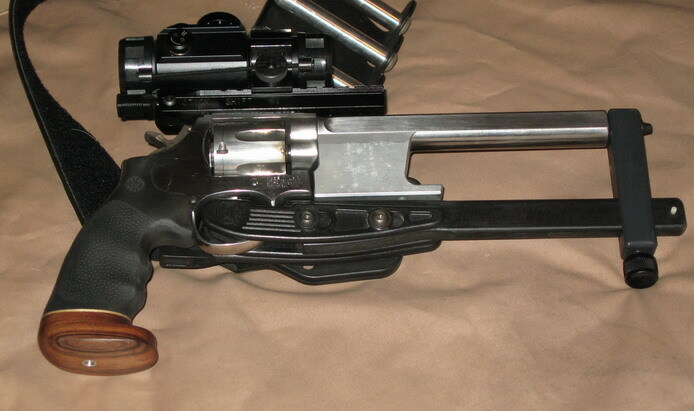 Universal Revolver Holster - Protocall Design - Brian Enos's Forums... Maku mozo! 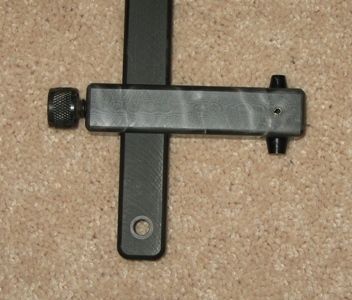 To adjust for length, undo the thumbsrew about 1/2 turn, slide up or down and tighten. 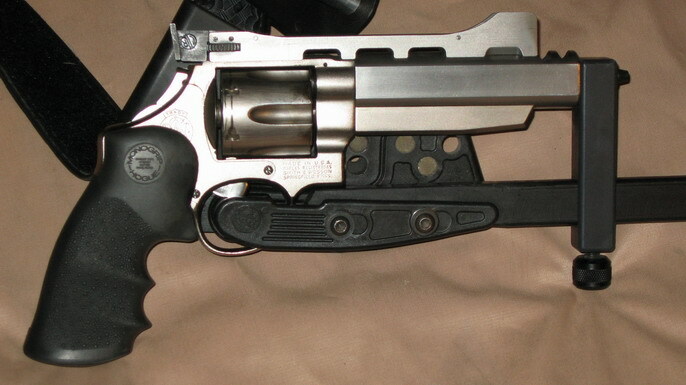 The basic holster is a Hogue Power Speed for autos, then you can add the revo adapter for any S&W revo from 4" to 8-3/8". 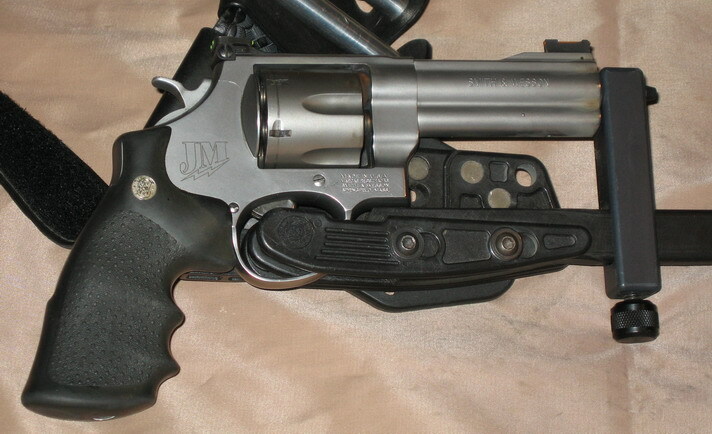 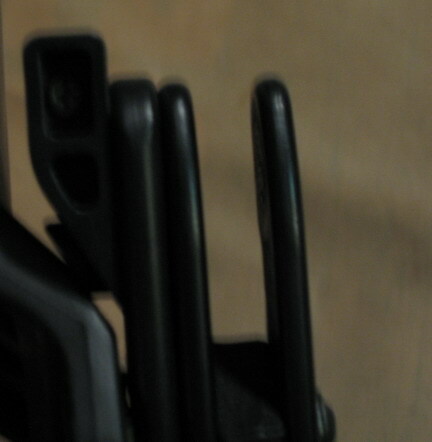 The holster can be used left or right hand.